Thank you for visiting Yost Stucco and Masonry! Yost Stucco and Masonry is a family owned company, founded and operated by Brian Yost, a construction entrepreneur who founded his business on the belief that clients deserve honest expert consultation, great value and top quality workmanship. For more than 15 years he and his team have consistently delivered to that standard. Yost Stucco provides the leading stucco remediation specialists. The certified and highly trained stucco repair specialists can handle any stucco job from a minor repair to large scale stucco or siding replacement. Over the last decade, stucco has been quite the buzz in the construction industry. Why? One simple answer. For decades, the codes in states surrounding the Philadelphia Metropolitan region allowed for inadequate standards for stucco installation. Consequently, homeowners and commercial property owners began to see significant failures in their property. Lawsuits ensued and investigations began. The outcome was: standards needed to be changed. A new series of codes were drafted and many owners now face the need to address the inadequacies in their original construction. If you find yourself wondering whether or not your home or property has issues that can lead to catastrophic failure, or if you’ve discovered that you have such problems, WE CAN HELP YOU SOLVE THEM! OUR 7-LAYER PROCESS DOESN’T JUST MEET THE NEWER STANDARDS, IT EXCEEDS THEM! 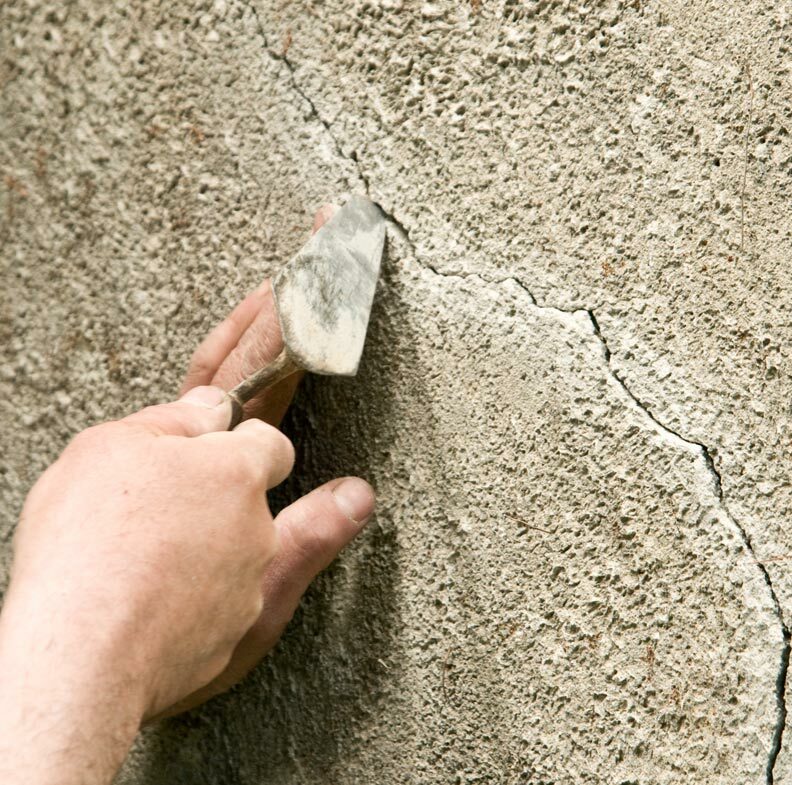 Most Stucco problems are hidden, which makes it difficult to know if you have a problem. Having a Stucco test done is the most comprehensive way to determine the health of your stucco facade. In some instances, when the problem has gone unseen for long enough, certain signs start to show. Damp spots or mold on interior drywall or dark staining on the exterior can be signs that your Stucco is problematic. To determine the extent of the problem, a Stucco test is required. Yes, there is often good news in that if you catch it early, there is a chance to repair the damage before a catastrophic failure. If you already have a major failure, it can be remediated, or even replaced with an alternative, such as stone or siding. The bottom line is, the problem can be solved. We use a 7-layer process that ensures the long life of your stucco and gives you peace of mind that you will not have the same problem again. the worst thing is not having the problem, it’s attempting fix it and having to do it again! We will help you make sure that doesn’t happen.